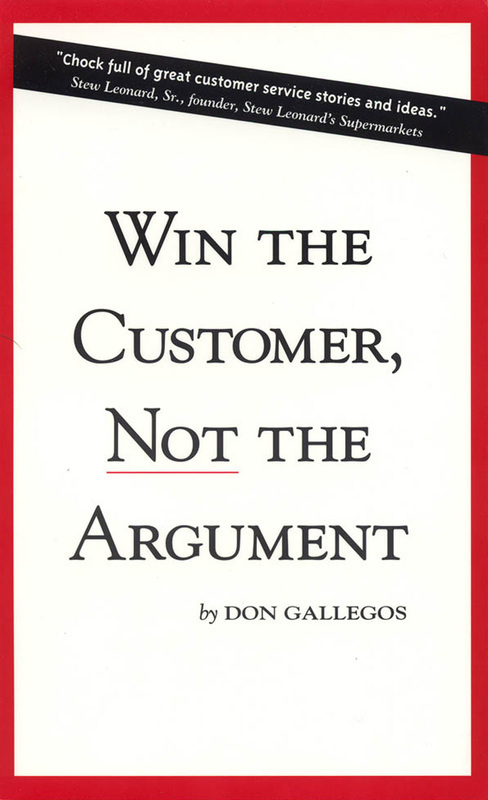 Don Gallegos is on a crusade to to wipe out poor customer services. Businesses do not understand that even though the customer is not always right, wrong customers spend money. This entertaining book shows why businesses should throw away the policy manners and give customers the benefit of the doubt. Don't punish 99% of your customers for the crimes of a small minority. This book shows how putting customer service first encourages tremendous loyalty (and larger profits) from your customer base. This is a must-have book for anyone who deals with customers every day. "​Don's insight into thinking about our customers is the best perspective I have seen. His book gives us all a glimpse of what it takes to really put our customers first." Dave Dillon, Chairman and Chief Executive Officer, The Kroger Co.
"Don Gallegos tells great stories about creating loyal customers, but that's not all. He also talks about how to create satisfied employees." "Don Gallegos shares his common sense philosophies and entertaining experiences in a way that is sure to change the way you view your commitment to your customer." "Chock full of great customer service stories and ideas."